Want more energy in life? Want better health? Start with a daily salad. No, I am not talking about cookie salads, Jell-o salads and other such things. (I live in an area where anything mixed into a tub of cool whip is called a salad). 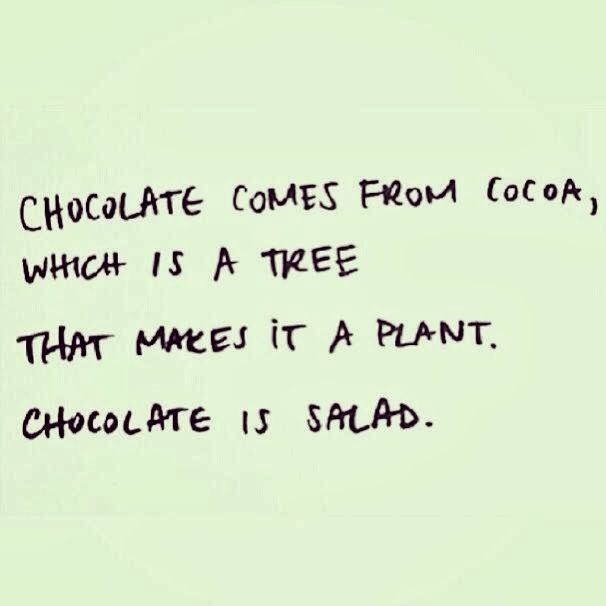 No, I am not talking about chocolate (which according to the note below some may consider it a salad.) No, I am not talking a bit of iceberg lettuce with cheap cheddar cheese and imitation bacon, topped with a healthy dose of ranch dressing and maybe a tomato slice for color. I am talking real, full of flavor, life giving, yummmmmm kind of salads. Salads can be anything tossed together. 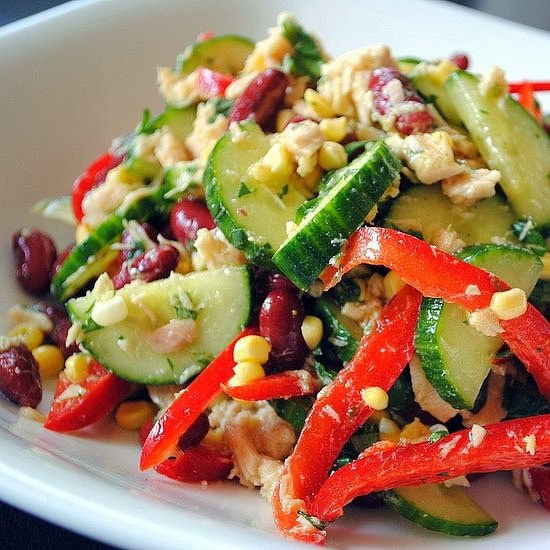 Truly, it is amazing what you can do in the salad world by combining whatever fruits and vegetables, grains, beans and herbs you have close by. My salads are getting better. I am enjoying different salads and different flavor combos. The kids are doing well with it too. They like to see what Mom will come up with next. Yes my kids eat salad. If exposed to good salads, kids (and adults) can learn to enjoy them. Salads are more than just lettuce. You have to start thinking outside the box. 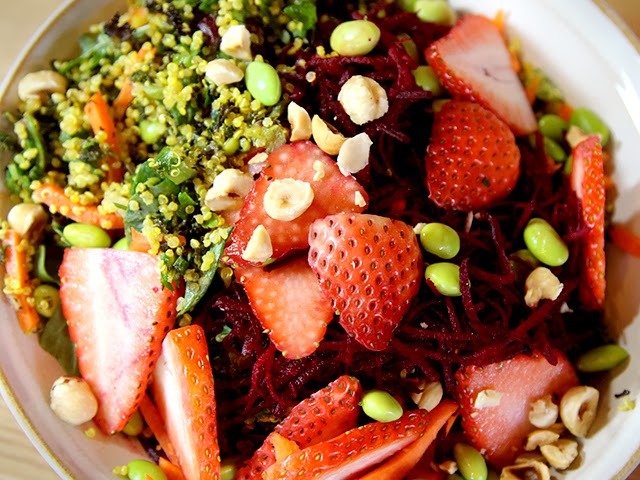 fruits, vegetables, whole grains, beans, lentils, herbs; they all can go in a salad. Chef Brad's fusion grain cooking show has helped me to learn about some of the less popular grains out there. He often makes salads from the cooked grains. I will include a link to his salad recipes. My family has discovered they like tabbouleh salad. It is made from bulgur wheat, chopped vegetables along with healthy amounts of mint and fresh parsley. I have enjoyed making more salads. Salads bring life to my world. 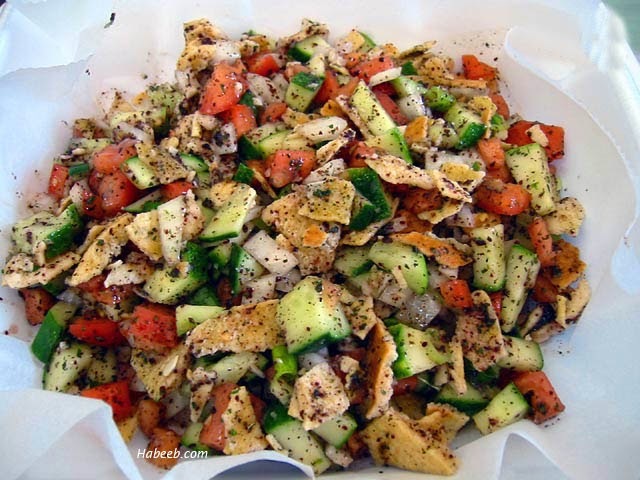 Salads can be very nourishing with the exception of store bought dressings that many douse their salad in. Processed dressings are really no good for you. They start with cheap flavorless oils then they add a ton of sugar, salt, and flavorings to make it taste edible. Then they add preservatives, and emulsifiers to keep it all together. What you end up with is a major chemical bath for your salad. Who wants that? Yet this is what people eat on salad every day. People will have a typical salad thinking they are doing good for the body and ruin it with a healthy dose of something like ranch. People will literally make salad dressing soup. They float a little lettuce in their ranch dressing and call it a salad. Go beyond the ranch dressing. For some of you it is the standard go to dressing for everything. You get tired of salad because they are all the same. All salads taste the same because of the dressing. If this is you, you are in for a pleasant surprise. Wake up with new flavors by changing up your salad dressing. There are many options out there I have written a post about making your own salad dressing I will include a link below. Making your own dressings are so easy. If you start with a good quality, flavorful oil and vinegar you are nearly there. A bit of salt, pepper is all you need to make a simple vinaigrette. If you prefer creamy dressings, avocado or nuts in a blender can really add to the dressing, making it more like the creamy dressings we have come to expect on a salad. These things can really have a positive impact on your health. Are you ready? Are you willing to try? Will you give salads a second look in your house? We are really glad we did. We eat a lot less starchy side dishes because we have replaced them with salads. Our health is better because of it. 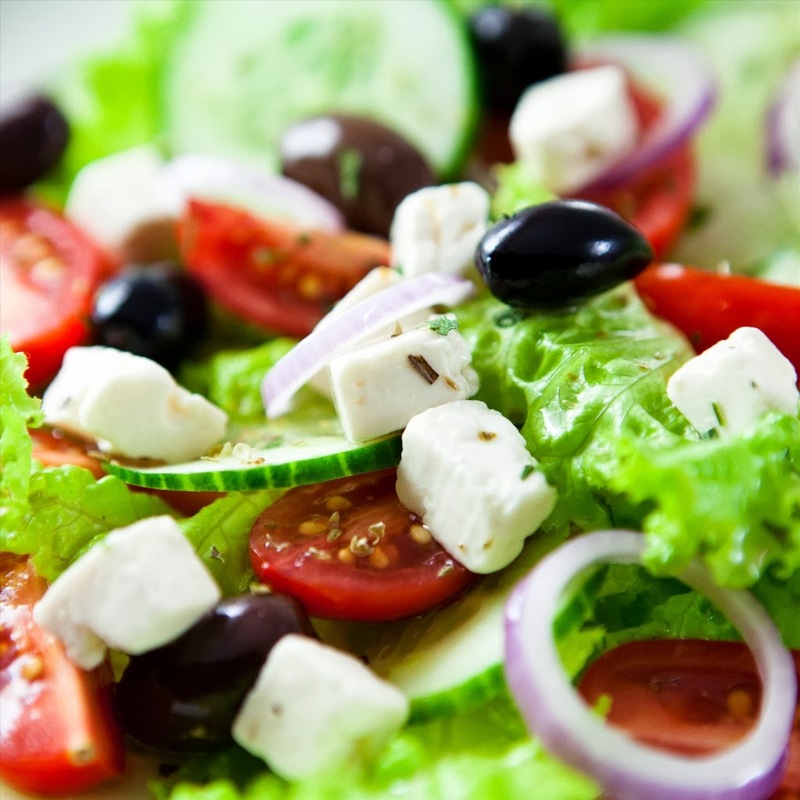 You too can have better health by making salads a major part of your daily diet. I have included a bunch of helpful links below to help you get started. We just love Salads and have one almost everyday. This is a fabulous collections of salads. Thank you so much for sharing with Full Plate Thursday and have a great week! As for homemade dressings, how long do they usually keep? Thanks for sharing this at the Healthy Tuesday hop! I have kept them for as long as two weeks (if they lasted that long). If they are made with pantry ingredients they last longer then if you add any fresh herbs or spices. Your recipe is featured on Full Plate Thursday this week. Have a great weekend and enjoy your new Red Plate!